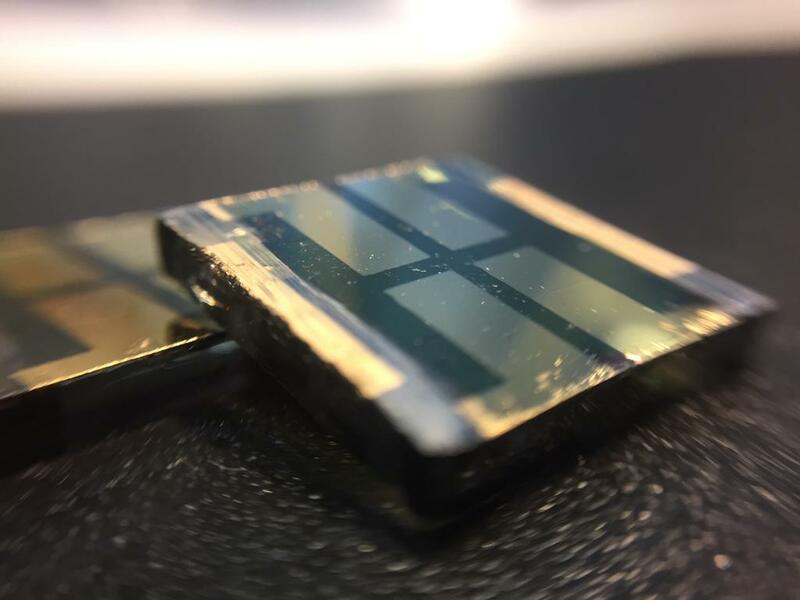 Since their first use in 2009, perovskite-based solar cells have evolved rapidly due to their excellent properties to transform light into electrical charges, thus accelerating the research on solar energy to produce electricity. In a new paper, ICIQ scientists from the Palomares group in collaboration with researchers from the Izmir Katip Celebi University (Turkey) demonstrate the potential of using organic molecules that self-assemble in monolayers (SAMs) to simplify the construction of perovskite-based solar cells. The new approach eliminates the need to employ inorganic metal oxides that are processed at high temperatures, which will enable the use of flexible substrates to build solar devices. Solar cells are formed by different layers, each of them finely tuned to play a specific function and to optimize the cell’s overall efficiency. In the paper, published in Energy & Environmental Science, the scientists demonstrate how using SAMs to replace the commonly utilised inorganic metal oxides leads to one of the highest solar to energy conversion efficiency reported to date in inverted-structure solar cells. “Our approach is inspired in the nanoscience: being able to control and adjust organic molecules at the nanometric scale. The potential to control the electronic level alignment between two different materials opens a myriad of possibilities to enhance perovskite solar cells and reach the maximum theoretical efficiency,” explains Emilio Palomares, ICIQ group leader and senior author of the paper. The perovskite is the active, central, layer of a solar cell, responsible for transforming sunlight into separated electrical charges. The layers stacked on both sides of the perovskite show affinity to either positive or negative charges, consequently forcing their separation and generating electricity. Inorganic metal oxides are used to attract positive charges, but this kind of materials have two big drawbacks: first, they need to be processed at high temperatures, sky-rocketing the cell’s costs and hence encouraging further research to find alternatives. Also, inorganic metal oxides need to be doped with electronic properties enhancers, which can compromise the solar cells’ durability. Now, scientists in the Palomares group have synthesised and used SAMs of MC-43, a small organic molecule already employed to enhance the electric properties of the inorganic metal oxides. In the paper the scientists report how MC-43 chemically bonds with the transparent electrode, creating a molecule-thick layer that enhances the electronic properties of the underlying material. “MC-43 is easy to synthesise and deposit on the electrode. It’s a cheap alternative to inorganic metal oxides,” tells Cristina Rodríguez, PhD student under Palomares’ supervision who worked on the synthesis of the molecule, “it’s also one of the most efficient positive-charge lures reported so far for this kind of solar cells,” she concludes.